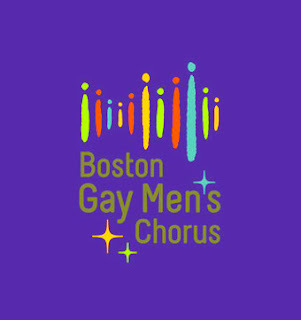 Boston Gay Men’s Chorus (BGMC) is proud to present Jingle All the Way, a holiday concert of traditional carols reimagined, beloved classic Christmas songs & contemporary works from Grammy-winning composer Craig Hella Johnson & others all wrapped up in BGMC’s signature blend of class & camp. Performances begin on December 3rd as part of Holly Folly in Provincetown & continue on December 11th, 16th, 17th & 18th at New England Conservatory’s Jordan Hall in Boston, Massachusetts. Reuben M. Reynolds, III BGMC Music Director stated, “Our holiday concert is quite traditional this year but it will be delivered with a BGMC twist. We’ll have carols recast in a jazz idiom, a raucous rendition of ‘Jingle Bells’ & a cover of the Weather Girls’ disco hit, Dear Santa Bring Me a Man This Christmas.” Craig Coogan BGMC Executive Director added, “We’re so excited for this concert because audiences will hear traditional carols in a whole new way, allowing them to rediscover old favorites & find new layers of meaning. This season is characterized by both quiet contemplation & joyous celebration & we can’t wait to create those experiences for others & share in them.” Jingle All the Way will showcase English composer Will Todd’s arrangements of "We Three Kings," "In the Bleak Midwinter" & “Personent hodie” which he set in a jazz idiom, originally for the choir of St. Martin-in-the-Fields in London. The chorus will also perform “Evening Prayer,” a new piece by Norwegian composer Ola Gjello based on a prayer written by St. Augustine & more.